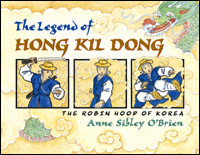 Annie Sibley O'Brien's graphic novel The Legend of Hong Kil Dong (Charlesbridge) for illustration. Justina Chen Headley's Nothing But The Truth And A Few White Lies (Little Brown) for text. 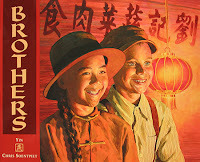 Grace Lin's Year Of The Dog (Little Brown) received an honor in text, and Brothers (Philomel), written by Yin and illustrated by Chris Soentpiet, received an honor in the illustration category. Hooray for these wonderful books, writers, and artists! Also, congratulations to Alvina Ling, who edited both of the award-winning books in the text category.